We’re HIRING for a Board Certified Behavior Analyst (BCBA) to join The Aurora School within The Arc of Loudoun in Leesburg, VA! Ideal candidate is an experienced ABA professional and collaborative leader with exceptional organization, problem solving, communication and writing skills. If you have the passion for working in an innovative learning environment with students with special needs, this may be the job for you. Exciting opportunity to be a part of a dynamic organization! The Aurora School is a 12-month day program that provides a collaborative and innovative learning environment for students for students 5-22 years of ages with Autism and other developmental abilities. 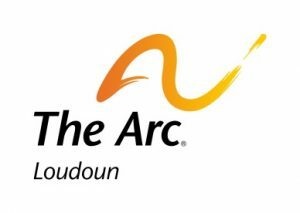 For more information visit www.thearcofloudoun.org. Board Certified Behavior Analyst (BCBA) Summary: Providing leadership and organizational management in the following areas: student educational programming; behavior interventions; staff development; classroom management; and parent training. Interested in being our Board Certified Behavior Analyst (BCBA)? Please submit your resume and cover letter explaining why you are a great fit for this role, along with salary range expectation to Director of The Aurora School, Amy Metaxa, ametaxa@thearcofloudoun.org. We will reach out to those whose qualifications best meet our requirements. Thank you! The Arc of Loudoun is an Equal Opportunity Employer.